ABRA® Abdominal restores the primary closure option for full-thickness, retracted mid-line abdominal defects. 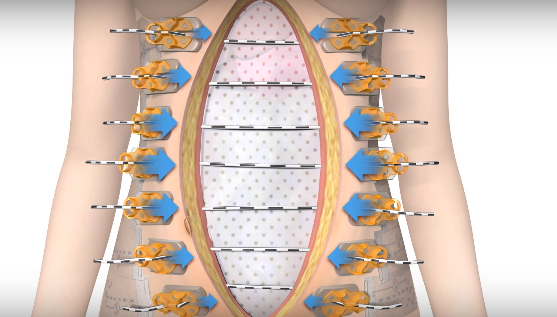 Installation of the ABRA® system pulls muscle planes and skin together from their lateral retracted state with relentless dynamic appositional traction, leaving the leading edge of the fascial margins undisturbed when performing definitive primary closure. A full-layer closure restores normal physiology while dramatically reducing length of stay, short-term morbidity risks, and future healthcare costs.